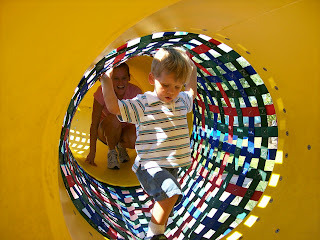 There is a wonderful children's area at Sea World that we spent a lot of time exploring. 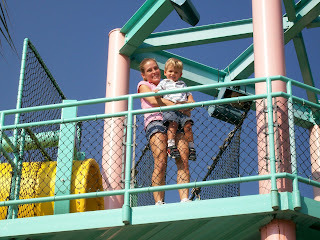 Dawson especially loved the giant playground. We climbed up and down the huge nets, ran over the suspended bridges, crawled through way too many tunnels, and slid down the slides. 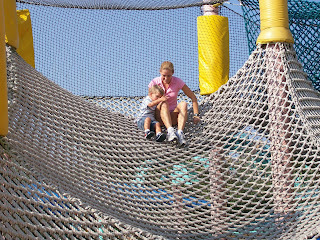 Coming down one of the giant nets.